"Today's announcement cements the original vision of SB-946 by ensuring that all kids, regardless of their insurance status, will have access to life-changing treatment. At the time, we recognized that SB-946 was a significant advance, but an incomplete advance. The circle has been completed." DHCS is set to have a formal meeting at the end of the month to develop their implementation plan. 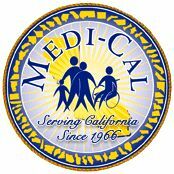 The plan is expected to include treatments and therapies for all Californians with autism ages 21 years and younger, including those who previously had coverage under the Healthy Families program. The plan is also expected be retroactive to July 1, 2014. The announcement came as the California Senate Select Committee on Autism & Related Disorders was hearing testimony on workforce training and job opportunities for Californians with autism. Before the packed hearing room in the Capitol, Senator Steinberg relayed the announcement to applause from those attending the hearing. Senator Steinberg authored SB 946 in 2011, requiring private health plans and insurance companies to provide coverage for behavioral health treatment for individuals with autism and pervasive developmental disorders. Estimates suggest that 8,500 children have benefitted from the successful legislation since it came into effect in July 2012, while the California Department of Insurance estimates annual taxpayer savings of up to $200 million in intervention costs from regional centers and special education programs. Autism is the nation's most rapidly growing serious developmental disability, as the number of those living with autism in the United States is 300 percent higher than it was in 2005. Nearly one in every 50 children in U.S. children exhibits signs of autism spectrum disorders. Research shows that early behavioral intervention therapies improve brain functions, promote higher cognitive functions and reduce self-injurious behaviors for a significant number of individuals with autism Spectrum disorders. For More information on SB 946 and acquiring insurance for ABA, click here.